Alright, so three, two, one. Alright TCP listeners, I have an incredible guest today. And that is Nicole Cowley. Nicole, how are you doing? I’m doing wonderful. How are you doing Dr. Ed? I’m amazing. I actually really look forward to these discussions. It’s a break in my day. I get to learn something too. So here’s what I love to start these podcasts with and that’s really just finding out a little bit more about you. So tell myself, but also the listeners a little bit more about who you are and then also what you do. Yeah, absolutely. 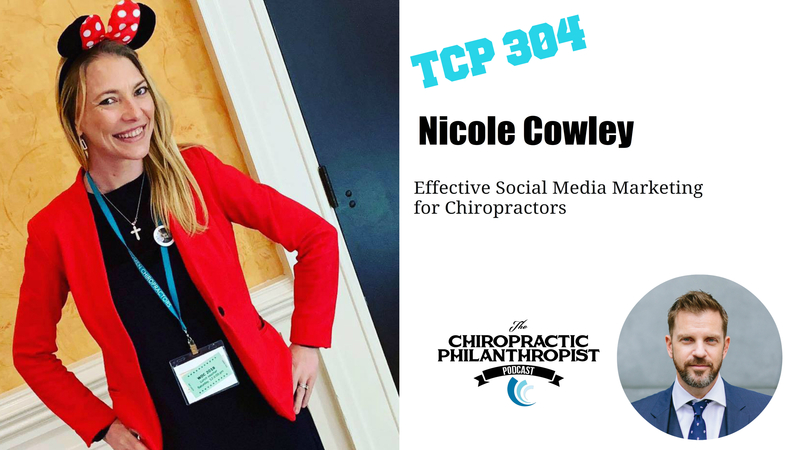 So, my name’s Nicole Cowley and my aunt actually is a chiropractor, we’ll make this kinda quick, sweet and short, but I was moving from the big city up to northern Indiana and looking for a career change. I’ve always been in sales from financial sales to recruiting and then to IT recruiting. And her software company was looking for a sales rep and so it just happened to be perfect for me. And it was at this time when Facebook and all these social media platforms were really shifting from a personal to really much more of a business level. So again, I always say that timing leads to a lot of things. You know, is it luck, is it persistence? A lot of it is both of it along with did … you know, you have that unique time and take grasp of it. But you know, within that, when I was doing sales for the software company, I just jumped in every chiropractic Facebook group that I could and really just started learning as much as I could about the industry and trying to get my name out there. And in that started seeing a ton of opportunity for chiropractors with social media. And I started Chiro Social Tech about a year later as a free resource in order to collect leads for vitalogics. That was kind of my give back. Let me just, you know, ooze value to the industry, which is kind of what I do and kind of stand by on a marketing standpoint. And then I’ll be able to position myself. People will know and they do, they connect, you know, my name to vitalogics many, many times and that worked great. But people were like, okay, this is great. How do I hire you to do my social media? Right. And it’s all just really been an organic, beautiful process over the last few years. But, my heart’s been with chiropractic my whole life and it’s really, really fun to now put kind of my career passion into that as well. Beautiful. I mean, so would you say that now the majority of the people that you work with, are they chiropractors? Yes, I would work with 99.9 percent of chiropractors. Or I started to work a lot with associations and groups, so specifically been working with the professional baseball chiropractic society, a lot of different sports groups. 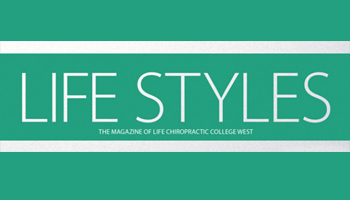 The women chiropractors is becoming this giant organization. We just did their convention last week. But yeah, all within the chiropractic industry though. Very cool. And so one of the things we’d love to discuss too, and you know, chiropractors were all about memes and quotes and all that stuff. So where’s the positivity or affirmations? Do you have anything that you would like to drop on doctors? Some words of meaning. Yes. So you know, I think a big thing to remember, and I’m going to relay this specifically to social media because you really have to put yourself out there, whether it’s putting your image out there or like we do, putting your voice out there, putting yourself on camera. It’s really taking yourself out of it. And so, and everything that I try to do, I try to remember, you know, this isn’t about me, this is about what’s important or what I’m trying to do or the message that we’re trying to push forward. And so, especially this weekend, I think again I mentioned, I was just at that women chiropractors conference. That was the big thing that we tried to reiterate in the message we were sharing is, you know, when you’re sharing on your Instagram stories, it might feel weird to you, but it’s not about you. It’s about your audience being able to learn more, trust you more. It’s going to position yourself more in that. And so I think that’s kind of, I don’t know if that’s an actual quote or who said it, but it’s like a saying I live by. Beautiful. So when you were like, how long have you actually been in like really helping and supporting chiropractors? How many years has it been now that you’ve been doing this? So 2014 is when I started with vitalogics and then it was 2015 that Chiro Social Tech started. So we are, I think it was like November 18th, the date that my website was live, that’s what I call my birthday. But, you know, I woke up and I was like my website. It’s public. People can go to it. Do you, do you feel like, I mean, a lot of chiropractors either they don’t understand social media or they undervalue the power of social media? I think both. You know, I think more chiropractors understand social media than even give themselves credit for. And I think for whatever reason, the things that they even know they should do, just don’t do for some reason. And where I think we fall short a lot of times is because we’re really in a society of instant gratification. And I always say this in my talk. So if you think about when you’re online and you’re on your Facebook feed, how many things do you read, maybe even click on or watch that you don’t like or comment? People are stalkers and lurkers and information grabbers first. So you know, like a doctor will write this great article or do this great video and say nobody liked it. It didn’t work. And stop. Any you know, they say so many businesses fail right at that very, very end because they just didn’t take it that far. And so it’s just about continuing to go and push your message. And I think too many times we give up in not seeing some of that, you know, instant gratification. Yeah, I would agree. I mean, it’s … like I often tell people that I work with, it’s not about how many people are watching, commenting, liking, or it’s like who is watching. It’s like that if it’s that one person that you actually really impact or have out of the 300 people who watched your video or Facebook live and that made a difference. And then, yeah, the, I love that where you’re saying, you know, I’m just pulling from this is it, I think you’re saying consistency is just don’t give up, don’t stop. And then you start to see it starts to bear fruit over time. I, and you and I had this discussion even before we got on the recording today, I think, which is that, you know, even things like social media, like I could say like with Facebook advertising, like you gotta put more time into it and allow it to grow. Like even if it’s, you’re putting money behind something for four weeks. Isn’t that true? Absolutely. So this is a big thing I’ve been showing. I did recently in a case study, you know, Nike went viral. So we were looking at Nike’s Facebook page and they post about once a month to their Facebook page, their highest quality content. But now you can go in and you can look at any page’s Facebook ads. So if you didn’t know this, this is really, really cool. If you go to their page, there’s like a little circle under the header image. And they’re running a ton of ads so they’ve only posted once in the last month. So then this weekend I spoke specifically on your hidden mickeys social media strategy. So we took, it was in Orlando, so we looked at Disney’s Facebook page. They post about four to five times a month, so you know, the big … and then again you go look at their ads and their ads are just very targeted, very direct. There’s quite a few of them going, quite a few variations, remembering their audience is gonna be a much larger. So this is scaling back to your local community. But also I started seeing ads for Nike and for Disney, you know, in my newsfeed right after I did this. So I think really understanding the ad platform from an audience level, from a retargeting level, and then understanding, like the Facebook ad platform even breaks it down for you. There’s branding and then there’s your middle, which is your objective. And then there’s your conversion. So running ads a month for branding, a month for give value, collect their email, have them watch a video, have them click to your website and then do a month for conversion and then really look at you know, what the process gives you. It’s interesting, you know, because like I will do that intentionally. Like if I see something in my feed and I’m like well that’s interesting. I’ll literally click on it, if it’s a sponsored ad, I’ll click on it because I know that they’re going to, it’ll show up again later. It’s almost like when you want to save a video, you can save a video on Facebook. It’s actually easier to just click on that and know that it’s going to come back on your feed later. It really is. So here’s just a couple of quick examples. I follow Four Sigmatic. They did a free samples ad. Oh, it was on a podcast. I heard about them on a podcast and the do a free samples ad. And I get ads for them all the time. And if I didn’t, I would’ve forgot the name of them. And I wanted to gift them recently and they were right in my Facebook. I was like, oh yeah, I wanted to get gifts for somebody. But there was a year’s time that lapsed in between both of those purchases. Are you gonna be an ongoing customer for them? And they’ve done it well. Another example of that is the Health Nut News. You know, I followed her for about 18 months before I purchased something. Now you know, I’m a monthly subscriber so you can get, it’s not to say that you can’t get new patients and you can’t get new business and you can’t get results immediately from some of these social media avenues. But I like to really have doctors consider the longterm strategies coupled with that because I think it’s so much more fruitful for your clinic as a whole. Hence the plaque in the background. Well, yeah, I mean for different reasons. But the conversation shifts once you’ve been in this game long enough from how does it work and can I get results to how do I shorten the sales cycle? You know what I mean? Yeah. And that’s where most doctors don’t even get to that step. Where it’s like, okay, now I’m getting results. So instead of having someone follow me for 18 months before they buy, how do I get it to six months? How do I get three months? That’s when the conversation shifts. So I really love this conversation. It’s very unique because I think a lot of doctors discount again, the real power of social media and then they give up too soon because they never give it enough time. They never nurture their audience long enough and then they don’t see the fruit at the end and then get the chance to make it better afterwards. So it’s interesting. I asked this question too of the audience, I think I see this a lot as well, and I said, you know what if Walt Disney’s social media strategy was they just shared images and quotes and pictures from Universal Studios? Like that was their strategy. Like get it, it’s an amusement park. It’s the same. This is, you know, it’s not the same. It doesn’t make sense. And so I think many times what I see in so many of my clients is not enough real engagement, not enough of their own authentic office speaking to their specific niche audience and their region. You know, I get this, I do get all the time where can you just do my social media for me? And you know, they’re going to be in some other state somewhere else. I’m like, not really. I don’t know your people, I don’t know your players. Like I can guide you how to do it. And not saying that you can’t ’cause there’s ways to run ad strategies. But we really try to structure the campaign so you can just plug and play your specific content, images, video so your language can speak specifically. You know, if you’re in the south you should be using yellow. If you’re in Indiana, that would look kind of silly. Right? So it’s matching those things so your market really understands that you’re speaking to them. That’s interesting. I never really thought of it that way. But would you say that … so is it like, because a lot of people that I meet that want to start really leveraging social media marketing specifically like with video, are you seeing, is there a difference between the engagement and the amount of attention that someone will get if they’re just literally holding their phone in front of them and speaking very native, I guess you would call it, to Facebook. Versus doing something like we’ve done some really high level produced videos and I know that we’ve been getting different results, but I’d love to hear your opinion on that. Yeah. And again, I think it goes back to who it is that’s doing it and how they’re doing it. I’ve seen mixed results across the board from my clinics that I work with to the associations that I work with. And so I think there’s a level where you can get too produced and too … like people just know what you’re going to say and what you’re going to do. Right? It still has to be something … as far as social media, they want something relevant, something, you know, immediate news, off the cuff, entertainment. Social media is where we’re going to, you know, disappear a little bit or whatever from our world and engage with our friends and family. So if we try to get too businessy, too scripty, too commercially, we’re just gonna get scrolled and looked right past. So that’s why you’re gonna see some of the better videos when it’s more selfie-like. But I do think as well, here’s where we also get lost is followers, or like building a following and building a strong following versus building an influence and building a strong influence. And I see this more in the group, in the association level, they think my video has 700 to a thousand views. I have so many people that are watching it. Well are they watching it to see just what you’re gonna say next and what you’re gonna do next because it’s so sort of ridiculous. And so it’s just a following. Or do you have an actual influence over those 700 to a thousand people and that’s where some of these videos out here that have a consistent two to 500 views on their video. They’re people that are looking for them, they’re getting an influence, people are talking about it. And so it’s hands down quantity over quality in the videos that you put out. Yeah, I would definitely, yeah, I would agree with that is that there’s some people out there that have very … they have the ability to mobilize people. It has nothing to do with how many people actually click and watch, but it’s the ability to actually be able to be on a video or to get people to take action to do something. And that’s really what’s important. So if a doc is listening right now and they’re like, okay, I gotta harness this stuff, I gotta learn more about social media and the power of social media. I mean, how can they actually find you to get some more guidance? Absolutely. 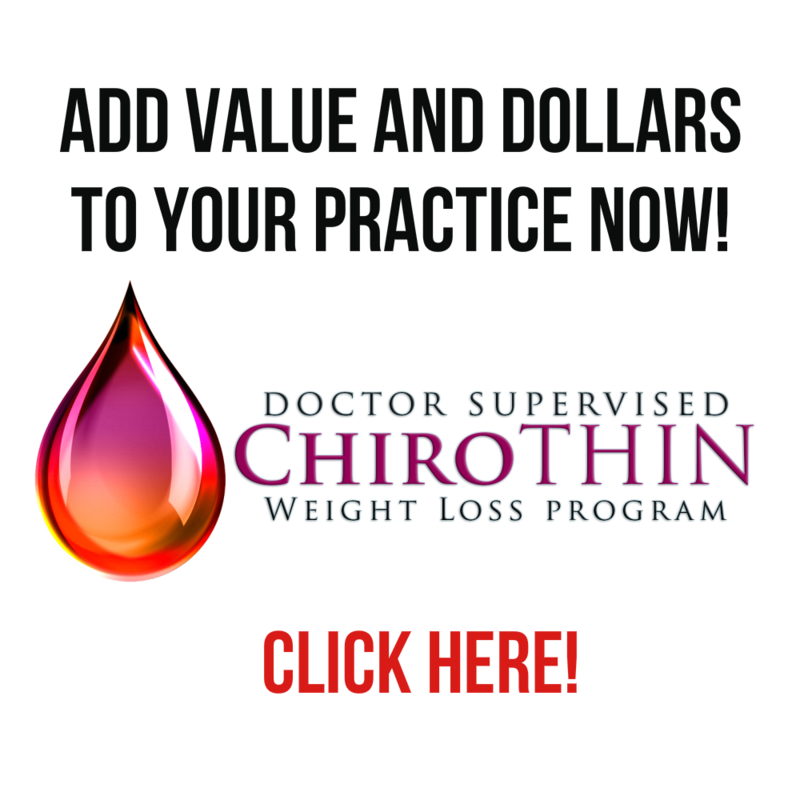 So you can head on over to my website, chirosocialtech.com. Very simple. You can click on the vault. What we’ve done is we created a five month, we call it a bootcamp course. It’s online, it’s weekly modules that are very, very short, very structured that guide you and your team. So this is for the doctor, their associates, their marketing managers, their CAs, whoever your team is in your office. Put them all inside the bootcamp. Because you know, we want everyone to be on the same page. What we really talk about, the strategies, the campaigns and the technicalities that you can use across all the platforms. We cover every single one of them and it’s not to say … what we show you is how you can automate a lot of it. There’s free tools out there like Zapier, Hoot Suite, where we automate using RSS feeds and we teach you how to set this up so it really simplifies it. But we want to leverage your voice and leverage if you’re gonna do a video as many eyeballs in your specific local community. Like I also see a lot of doctors just kind of following other doctors and other clinics. I’m like, yeah, you get 200 other doctors that saw your local video. That’s great, but let’s really try to focus on how can we push that to your specific niche audience. And like I said, it’s five months. We walk you through, it’s structured, but it’s self paced as well. So you can eat up the content, you know, as your team sees fit. So if you’re just not interested in Twitter, you just skip the Twitter modules. And you just opened the … you open enrollment to that, to the bootcamp twice a year. We do twice a year, so it runs January to May. And we’re gonna open up early bird November 15th. 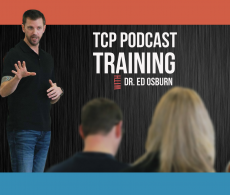 So you get signed up, you can get in, you can start consuming old bootcamp modules, we have a ton of free content in there. The other thing we do is we just give you a lot of free images, stories, short videos. We teach you how to brand them. They’re unbranded, highly encourage you to put your logo on those and share those out. So many of my clients don’t take that small step to put their logo on it and you know, top of mind awareness and really branding your clinic and your doctor’s name is one of the biggest things social media can give you. ‘Cause people will say, like that Chiropractor, I saw that ad, right? Or, and it’s really if they can remember your name or something to search it and connect it. That happens more times than not because we’re too busy. We’re too distracted. Yeah. Alright listeners, if you’re … if you would like to connect with Nicole, you can actually open your show notes right now on your mobile. So go ahead and open the show notes. We’ll have all the links and resources right there and you can connect, even get on that waiting list right now for the bootcamp. 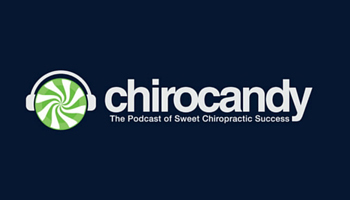 The other thing that you can do is if you’d listening actually on our desktop or on your desktop, you can head over to again the chiropracticphilanthropists.com on the desktop. And you can actually have … see that we have a web page dedicated to our discussion with Nicole today and we’ll have all the links and resources. Okay, so here’s what we’re going to do Nicole, you ready? Okay. We’re going to put you in the TCP time machine. We’re going to send you back to a younger version of yourself. Okay. So this is right after you just launched Chiro Social Tech website. So this is back 2015, I think you said 2015. We’re going to send you back to that time. What would you say to that younger self? You have all the knowledge you have today. That you can do, and I don’t want to say this to say you can. I would say you can do it alone. So, and I know that sounds bizarre, but I kept thinking that I needed a partner to prove my value. So I kept looking for a chiropractor to partner with me and it stalled me in many ways. Just choosing the wrong partners, things happening. And when I stopped waiting on somebody else to make myself valuable and realized I had that within me, I was really able to grow. Now I have a team, so I don’t want to say that you can do it all alone, but just not wait for someone else to take that jump and do something. You’re worthy. You’re worthy. Yeah. Thank you. Okay. So I would love to know what type of resource that you would love to drop on docs. So this could be a podcast, it could be a book you’re reading, it could be someone you’re following. It could be a course you’ve taken, but it’s like, look, every doc listing right now should go and check this out. Oh, I could do. We could go. I’ll go with, so I have a book that is kind of the base structure. I call it the foundation of the five month bootcamp. So it’s by Donald Miller and he also has a podcast. I’m an avid listener of this podcast, but Creating a Storybrand by Donald Miller is phenomenal book. And then also checking out his podcasts. It just has some excellent information in there. But I would really recommend I got it on audible and then I purchased the real book because you’re going to want to take highlighters and take notes. So go ahead and get yourself a real copy of that one. You’re gonna love it. Get it. I’m gonna look that one up too. Well, I wanna thank you so much for being on the chiropractic philanthropists today. And giving back to really the profession you could say. You know, you’ve been doing this awhile and I, and I know that, you know, I’ve met you before personally, by the way, and as listeners might not know. 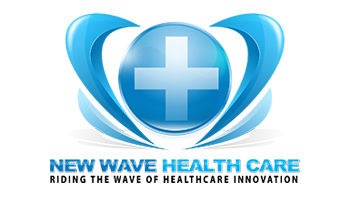 And I know that you have a lot of passion for helping chiropractors help more people. So I want to thank you for that. No, thank you very much. This was an honor to be on here talking to the expert about social media. I think we were able to give the listeners some good value.